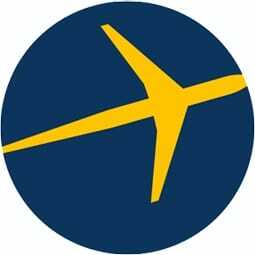 Get the FREE Expedia App! Party with Mickey and friends at Disney theme parks around the world to celebrate Mickey’s 90th birthday. Join Disney’s worldwide birthday bash as Mickey Mouse turns a venerable 90 years old. Still as spry as his Steamboat Willie cartoon debut on November 18, 1928, Mickey has some exciting birthday plans—and you’re invited! Experience the magic of Disney theme parks by dancing in the streets and admiring magnificently decorated cakes. You’ll also find plenty of collectible Mickey merchandise. Start making your travel plans for Mickey’s birthday party, as the celebration continues into 2019 with Disney’s World’s Biggest Mouse Party. Help kick off the party for Mickey’s birthday on November 18 at Disneyland in California. Watch the cavalcade of characters as many of the main mouse’s friends put on a parade through the park. Local Expert Tip: Find a good vantage spot near Sleeping Beauty Castle to catch a special Mickey moment. From November 16 to 18, get your groove on at the “Move It! Shake It! Dance & Play It!” Street Party in Disney’s Magic Kingdom in Orlando. Sing “Happy Birthday” on Main Street, USA with the Dapper Dans barbershop quartet. Then, shake a tail feather with Mickey and friends at Rockettower Plaza Stage in Tomorrowland. Munch on special mouse-eared treats and shop for limited-edition Mickey’s 90th birthday merchandise. While in the park, check out your favorite Toy Story characters at the new Toy Story Land. Mickey gets not just one cake for this birthday but many gigantic confectionery creations scattered across the lands of Disneyland Pairs. Search the park to snap selfies in front of every delectably decorated birthday cake. Then, join Donald Duck as he reveals a special musical birthday present for Mickey called Mickey’s PhilharMagic. You are sure to become immersed in this enchanting 4D experience. Make your way to the Storytellers statue in Shanghai Disneyland to find a huge birthday card covered with birthday wishes from Mickey’s pals. Kick off the nighttime spectacular show during Mickey’s birthday weekend by joining the crowd in singing “Happy Birthday.” Then, ooh and ahh at the brilliant fireworks display filling the skies above Enchanted Storybook Castle. Mickey’s birthday party starts right as you walk through the gate of Hong Kong Disneyland with 4 different commemorative tickets featuring Mickey, Minnie, Donald Duck, and Pluto. Inside the park, get your picture with Mickey and Minnie who’ll be dressed in fancy birthday outfits to mark the occasion. Make sure to catch the “We Love Mickey” projection show, enjoy celebratory snacks, and peruse exclusive 90th anniversary collectibles. From Mickey-themed Crocs and mouse-covered luggage to a slow cooker adorned with the Big Cheese’s iconic ears, you can outfit your whole house with the mouse. But there is certain merchandise you can only get in Tokyo Disney during Mickey’s birthday celebration. Check out the Seiko watch inscribed with “Mickey Mouse 90 Years” and a colorful commemorative armchair. Plus, the park will be filled with magical decorations to mark the occasion. Mickey’s official birthday celebration extends far beyond Disney theme parks. You’ll find grocery store shelves across the US selling birthday-cake flavored Oreos and specially shaped Goldfish crackers. Head to New York City before February 10, 2019 to immerse yourself in Mickey: The True Original Exhibition. At this specially curated exhibit, see rare archival art next to contemporary pieces paying homage to the timelessness of this cartoon mouse. Walk through the “Mickey Mouse Cosmic Cavern” aglow in blacklight. Then, admire textile sculptures created from 90 years of recycled memorabilia. Embark on a Disney Cruise in 2019 to partake in the World’s Biggest Mouse Party on the high seas. Find Mickey and Minnie magic during open-air dance parties on deck. And be sure to give Mickey a happy birthday hug or high five during a personalized meet and greet. How would you celebrate Mickey’s birthday? Expedia compensates authors for their writings appearing on this site, such compensation may include travel and other costs. Our articles are designed to make sure you spend more time having fun, exploring, and living like a local and less time trying to figure out the logistics on the go. We share our pointers for maximizing your time and stretching your dollar, offering ideas and advice for attractions, things to do, and itineraries. Our writers are lovers of travel and are eager to share their know-how with you. Read on, and travel better! Do you need any special equipment?